Is been a while I never have steamboat and today got a chance to enjoy with group of f.r.i.e.n.d.s. 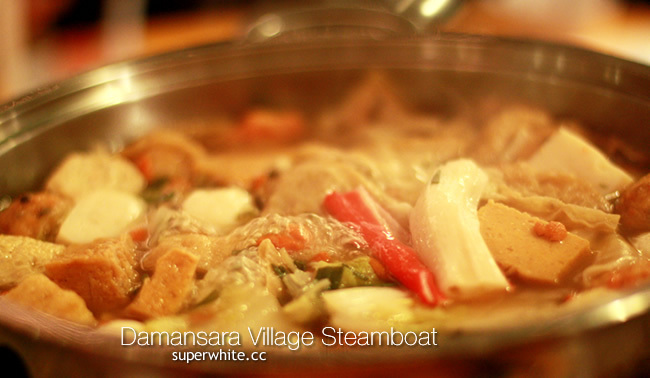 Eight of us KW, BT, SY, AV, KK, RM, T and me went to Damansara Village Steamboat at Damansara Jaya. The place was decorated like a village and they have some attraction sort like a mini zoo. We reach around 7.30pm which is quite empty inside, but after a while is crowded as the customers keep come in non-stop. 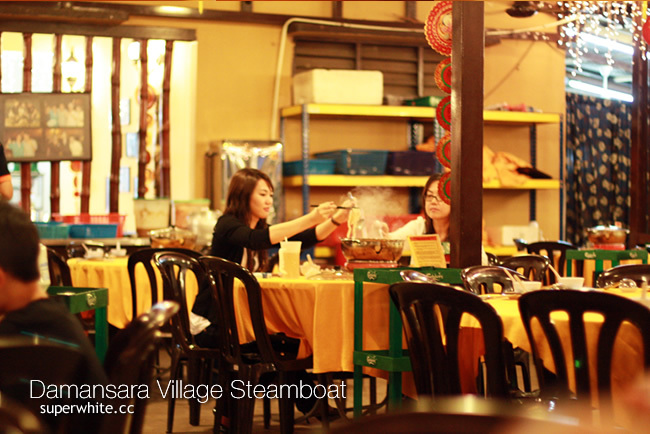 For the eight of us, we have the ingredients like the fish, prawns, crabs, vegetables and chicken served are fresh. We order some side order chicken wing, oyster and peeing prawns and also jelly dessert which made by KK. AV was shocked when the prawns still jumping on the plate when trying to put them in the soup. Now, how fresh can you get by cooking live prawns! How cool is the environment with the 50mm shot. Can eat, can see.